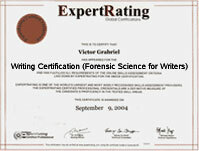 (leading to ExpertRating Writing Certification-Forensic Science for Writers). You've followed forensic investigators as they solve crimes in novels, movies, and TV shows, unearthing facts hidden from the normal human eye. And now you want forensics to play a starring role in your fiction, but you need a quick education on the subject. This course will reveal all the secrets you need to know in order to craft a gripping and realistic work of fiction. During this six-week course, we'll explore how investigators analyze physical evidence, including blood, DNA, fingerprints, hair, documents, ammunition, and corpses. From the code-breaking tricks of the cyber-sleuth to the traditional procedures of the autopsy room, we'll look at the strengths and weaknesses of forensic technology. And we'll cover common misconceptions about forensic analysis found in films and novels, errors that you'll want to avoid in your own writing. This course will also introduce you to the major players of a criminal investigation--the first responder, the lead investigator, and the crime scene experts--just the sort of people who make great characters. You'll meet forensic pioneers who can provide role models for fictional investigators. And you'll explore historical highlights of forensic crime detection, which will prove helpful when you write about historical periods other than our own. This course includes a knowledgeable and caring instructor who will guide you through your lessons, facilitate discussions, and answer your questions. The instructor for this course will be Phillip Jones. About the ExpertRating Online Writing Course (Forensic Science for Writers) instructor: Phillip Jones, Ph.D., J.D., a former science and medicine instructor, has practiced extensively in both scientific and legal arenas. As a fulltime freelance writer, Jones has published over 100 articles that blend science, law, and history. He earned a certificate in forensics and has published articles on forensic science and historically prominent criminal investigators in Forensic Nurse Magazine, The Strand Magazine, The Forensic Center Newsletter, Today's Science, Forensic Magazine, and Law and Order Magazine, as well as a mystery story in Futuristic. His writings in forensic science earned him associate membership with the Mystery Writers of America. Online Forensic Science For Writers Course requirements: For taking this instructor led ExpertRating Online Writing Course (Forensic Science for Writers) you need A basic knowledge of high school science, Internet access, e-mail, and the Microsoft Internet Explorer or Mozilla Firefox Web browser. As an already successful writer, I am sure I will refer to these lessons over the coming years as I continue to write novels." "Enjoyed the course. I was happy with the way it was presented and would recommend it to others." "Excellent course. As a current member of the Law Enforcement community, I was impressed at how much this course parallels currently offered law enforcement courses that cost much more. The assignments were challenging, and definitely assisted in preparation for the final." "Excellent course for writers and anyone interested in the "real" science behind forensics. Would highly recommend this class. The instructor is clearly very knowledgeable." "Excellent use of crossword puzzles as assignments." "Fantastic course! Challenging information was presented in an understandable fashion. This covered a huge amount of information on forensics. Definitely worth the money!!" "Great class! This saved two books that I otherwise could not have completed. It gave me the necessary understanding of crime scene investigation and police work I needed to finish the plots. Thank you so much!" "Great Course! I gathered information for my current mystery novel. Thanks!" "Highly informative, very well organized and presented." "I am amazed at all the info. provided in this course. This is by far the most advanced, sophisticated course I have ever taken. Exceeding a university curriculum. Every question I had been answered with your "Most asked questions" sheet. Thanks for providing your experience and expertise." "I am a Police Officer and have found this course interesting, factual, and very informative. I will certainly use this information daily and when I pursue training in the Forensic Identification Bureau." "I am astounded at the wealth of material that this instructor included in the "Supplementary Material" and "FAQ's". It was outstanding! Though I'm not a mystery writer, I am fascinated by true crime "stories" and most important the evaluation of evidence in solving those crimes. This course more than met my expectations." "I can't believe how much I've learned. This was an excellent class, and I really hate to see it draw to a close. I especially appreciated your touches of humor among the highly-detailed information." "I found the course wonderfully challenging. I would recommend it to others." ExpertRating is one of the world's only ISO 9001:2015 Certified companies (from TUV America) offering an Online Writing (Forensic Science for Writers) Course (leading to ExpertRating Writing (Forensic Science for Writers) Skills Certification). When you choose the ExpertRating Online Writing Course (Forensic Science for Writers) you can be sure that you are buying a premium International certification that is recognized by hundreds of employers and Government bodies in the US and other countries. With ExpertRating you get certified quickly online and you are equipped with a store house of information through the in-depth ExpertRating Online Writing Course (Forensic Science for Writers) Courseware which has been developed by experienced Writing, Publishing Industry and Forensic Science Experts. 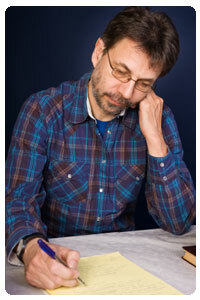 The ExpertRating Writing Certification is by far the best value for money instructor led Writing Program at $129.99. How much does the Writing Certification cost and what does it include? You can buy this ExpertRating Online Writing Course (Forensic Science for Writers) leading to Writing certification at a special offer price of only $129.99 which includes the in-depth ExpertRating Online Writing Course (Forensic Science for Writers) Courseware and exam fee. This is the best value for money Writing Program available till date. You get the following services within the USD $129.99 fee. In-depth ExpertRating Online Writing Course (Forensic Science for Writers) Courseware including scenarios and case studies. World wide airmail delivery of the hard copy Writing Certificate. The Writing Certificate can be used to prove your certified status and does not mention the words "online". The process of getting yourself certified is very simple. All you have to do is buy the ExpertRating Online Writing Course (Forensic Science for Writers) for $129.99. Log in to the instructor led course using your password. Go through the ExpertRating Online Writing Course (Forensic Science for Writers) Courseware (which would take you 6 weeks) and complete the final Writing Certification exam at your convenience. You can complete the exam within 2 months of buying the Writing Certification. The result of the exam appears as soon as it is completed, and your Writing Certificate is mailed immediately. Chapter assignments to help you practically use the Writing that you will learn during the Writing Course. The final exam is fully based upon the ExpertRating Online Writing Course (Forensic Science for Writers) Courseware that is provided along with the Writing Certification. If you have gone through the courseware properly you should not have a problem clearing the exam. The exam consists of multiple choice questions from all chapters of the ExpertRating Online Writing Course (Forensic Science for Writers) Courseware. Mystery fiction is a popular genre of writing. Mystery fiction is often used as a synonym of detective fiction — in other words a novel or short story in which a detective unravels a crime or a mystery. 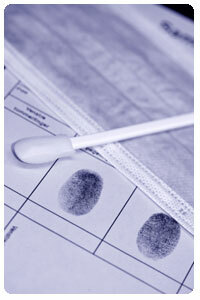 Forensic science is the application of a broad spectrum of sciences to answer questions of interest. Like all other fiction writing, mystery writing is based on writer’s imagination. However, at the same time, you cannot just tamper with scientifically proven facts. Forensic science and scientists are an integral part of mystery writing. If you are an amateur or professional mystery writer, then this is the right course for you. The ExpertRating Forensic Science for Writers Certification course will give you an understanding of forensic science so that you can add that mystery and scientific element to your writing and make it more interesting for the readers. In this lesson, you'll discover how forensic evidence fuels a criminal investigation. This lesson will look at the many uses of forensic science—from the crime scene to the courtroom. And you'll find out about the professionals who extract clues from the scene of a crime: the first responder, lead investigator, crime scene specialists, and evidence analysts. You'll also find out how writers take advantage of the limitations of real forensic analysis to create plot twists. Investigators find a reddish stain at a crime scene. Is it blood? If so, is it human blood? If it is human, then whose blood is it? In this lesson, you'll learn how forensic scientists examine blood chemistry to answer these questions. This lesson will also explore how experts reconstruct a crime scene using the physical characteristics of blood. This is the science of blood spatter analysis, which will be explored in this lesson. You'll also become familiar with classification and individualization, processes that can link a victim, a crime scene, and the perpetrator. The year 1986 marked the first time that a scientist used DNA analysis to aid a criminal investigation. Since then, DNA profiling has emerged as a vital tool of law enforcement. In this lesson, you'll discover the techniques that forensic scientists have employed to analyze DNA, including current tactics supported by extensive DNA databanks. You'll also learn a few tricks that your fictional villains can use to duck DNA analysis. Edmond Locard, one of the true pioneers of forensic science, says that every contact leaves a trace. In this lesson, you'll see how trace evidence—hair, fibers, glass fragments, paint chips, and dirt—can link a suspect and a crime. You'll also see how fictional investigators have benefited from trace evidence analysis. Do you know what a fire and an explosion have in common? Either can occur by accident or by design. And either may be used to commit a crime or to cover a crime. In this lesson, you'll discover how arson investigators determine the cause of a fire. Then, this lesson will explore techniques for examining the scene of an explosion. You'll also learn how your fictional protagonist can investigate a homicide-by-poison. Forensic ballistics has played a role in criminal investigations for over 200 years. In this lesson, you'll learn how experts currently perform forensic examinations of firearms. You'll find out how investigators determine the type of weapon used in a crime and link ammunition fragments to a weapon. You'll also learn about methods that experts use to reconstruct a shooting. How should your fictional investigators inspect the scene of a shooting? What can the evidence suggest about the crime? You'll learn the answer here. 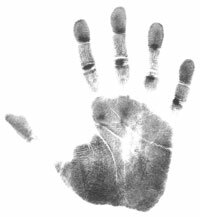 In this lesson, you'll see how experts scrutinize one of the oldest types of evidence used in criminal investigations: fingerprints. You'll find out how your fictional crime scene specialists can visualize hidden fingerprints, and how experts can distinguish one fingerprint from another. You've undoubtedly seen movies or TV programs that show computers conclusively matching a suspect with a fingerprint scan. But did you know this just doesn't happen in real life? In this lesson, you'll find out the real role computers play in fingerprint analysis. Fingers aren't the only things that leave impressions at crime scenes. Tools, feet, footwear, tires, palms, teeth, lips, and even ears leave prints, as well. In this lesson, you'll learn how investigators use these marks, and which of these techniques are frowned upon most by judges. You'll also discover how some investigators scan a suspect's brain to examine a very different type of impression: those residing in memory. In this lesson, you'll find out about two very different types of tracks: computer traces and audit trails. Computer forensic experts can use electronic evidence to establish that a crime has been committed or to link a crime with a victim or its perpetrator. You'll see how experts hunt down incriminating bits in a computer and the techniques used to thwart them. 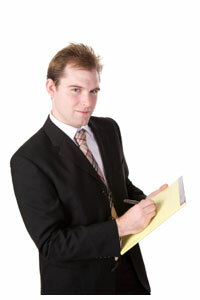 You'll also learn about forensic accounting, a specialty that has gained popularity in fact and in fiction. In this lesson, you'll explore the contributions forensic document examiners make to an investigation. You'll find out how experts detect hidden writing, date documents, link a document with the machine that created it, and unmask forgeries. You'll also learn how adding a document examiner to your story can be of benefit. You'll even get a tip or two about, what your fictional investigators should avoid when examining paper evidence. Do you know the difference between a coroner and a medical examiner? How do death investigators determine the time of death? You'll find out in this lesson. You'll also learn how investigators seek the identity of a corpse and uncover clues about the cause and manner of death. In this lesson, you'll discover how an analysis of language and behavior can support a criminal investigation. You'll also survey some exciting new techniques on the horizon, explore a brief history of forensic science developments, and you'll even investigate some famous fictional forensic investigators. You'll even learn how the current popularity of forensic science-based fiction impacts criminal trials and writers.